A School Resource Officer (SRO) is assigned to each campus. The SROs form relationships with students, provide intervention to assist students, and assist staff with difficult situations. In the case of an emergency or threat, the Sheriffs' Department is alerted immediately and can be counted on to have one of the best response times of any law enforcement department in the state. All of our safety protocols have been developed in collaboration with the SCV Sheriff's Department. 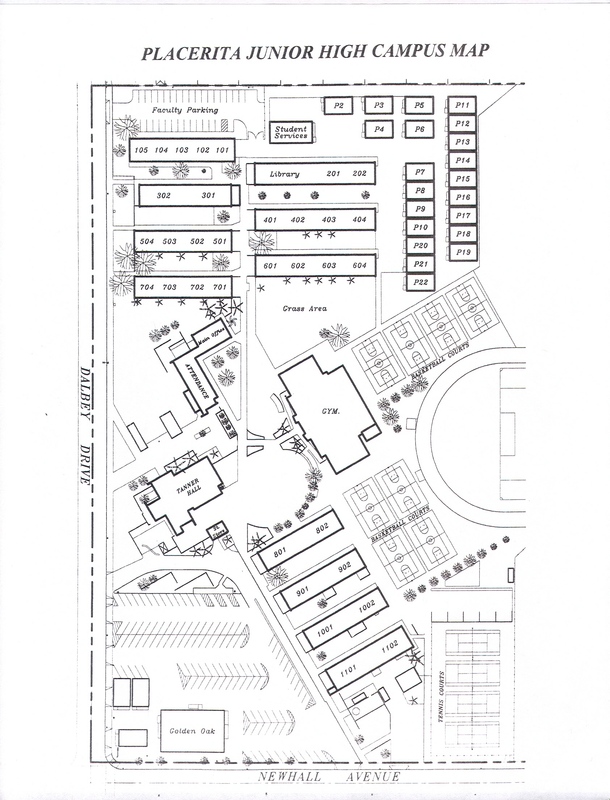 Each school campus is fenced and staffed with a team of campus supervisors who oversee the safe ingress and egress of students, staff, and visitors. The gates to the campuses are locked during instructional time and typically only unlocked when students are leaving campus for lunch or leaving school at the end of the day. Visitors are directed to the office to check-in. Locking a school down (requiring students to remain safely inside school facilities) is one strategy the Hart District uses in collaboration with the Sheriff's Department to provide the time and opportunity to safely investigate real or perceived concerns as they happen. While the term "lock down" may sound alarming, it's important to note that these scenarios often turn out to be unsubstantiated rumors that go viral on social media. Sometimes young people make inappropriate comments without fully understanding how seriously these remarks will be handled. In an abundance of caution, all such threats are fully investigated and when appropriate, a "lock down" provides school site officials and law enforcement the time and opportunity to investigate a potential threat while maintaining student safety on campus under the supervision of their teachers. During a "lock down" it is helpful for families to maintain distance from the school site and to react according to directives given by the District and school site in coordination with law enforcement. Each school maintains a comprehensive safety plan which includes policies for dealing with a variety of potential issues specific to that school site. The plans are developed in collaboration with multiple stakeholders and are updated annually to ensure that we are addressing needs in a timely and relevant fashion. It is important to note that schools do not publish the details of the specific protocols within those plans so as not to contribute to a security breach. Dep􀀐rtment. To that end, every school in the Hart District is required to schedule a minimum of two lockdown drills per year. These exercises are in addition to an annual earthquake drill, and a minimum of two fire drills. In addition, the Santa Clarita Sheriff's Department uses our campuses to stage their yearly "Active Shooter" training for their deputies. The District employs a full team of licensed therapists to provide intensive counseling services that help diffuse aggression, address isolation and tend to mental health needs of our students and families. These therapists are assigned to each of our schools to support our regular staff comprised of school psychologists and school counselors when educationally related mental health issues arise. Each school is equipped with a Text-a-Tip line so students can confidentially report suspicious activity immediately to law enforcement and school administration. The Text-a-Tip line is an essential tool to prevent possible incidents on campus. Each school site has a Text-a-Tip number (located on their website) that immediately directs information to the appropriate officials. Students are our eyes and ears on campus, and by using Text-a-Tip (or by reporting concerns directly to an adult on campus) they can actively participate in keeping their campus safe. Students who potentially pose a threat to themselves or others are assessed by a team of experts who comprise the District's Threat Assessment Team. Developed using resources from the FBI, the US Secret Service, and Department of Education, the protocol used by this group allows the District to deter rnine what resources need to be directed towards the at-risk individual and may lead to the involvement of the Department of Mental Health's School Threat Assessment and Response Team. The DMH team will track individuals throughout their lives and will provide support and/or services as needed regardless of the age or area in which the individual resides. With the increased use of social media, the schools have experienced an increase in the number of threat assessments conducted annually. All threats are taken seriously and fully investigated by the school administration and law enforcement. If the threat is deemed credible by law enforcement, an arrest will be made. Even if law enforcement determines that the threat is not credible, the District Threat Assessment Team is alerted and completes an assessment if concerns exist. The District also partners with multiple community agencies to further serve our students. The relationship between the SCV Sheriff's Department and the District is a strong one. The Santa Clarita Valley is a family community and we truly work together to provide a safe place for our families to work, go to school, and play. Maintaining a trusting and "inclusive" school culture is important to creating an atmosphere where students are willing to speak out when they see, hear, or feel that something is wrong. Students in the Hart District use Text a Tip or share concerns with responsible adults on campus to prevent issues from escalating. This communication helps the school administration intervene in situations that otherwise could have been dangerous and allows us to quickly request law enforcement assistance when necessary. Each school's Safe Schools Ambassadors are committed and skilled students who are trained to work within their peer groups to prevent bullying, exclusion, teasing, and violence on campus. This group of almost 1,500 students district-wide helps promote a culture of respect and inclusion among all staff and students. We ask that families continue to work with us to educate our students on the need to take safety drills seriously and to apply the knowledge gained at school to all locations. We teach students to run from danger, hide if running is not an option, and fight as a last resort. We will continue to focus on making our schools safe and appreciate your support as we all work together in a changing world.